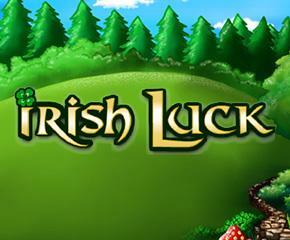 Irish Luck slots is a simple game that is another addition to the Irish-themed online slot game collection. The entire game from the backdrop to the symbols have an Irish feel to it. Irish Luck has five reels and four rows to play with and the player can bet from a fairly low starting point. From 25p a spin, with 25 paylines, the game has a low starting point and the player can win up to 100 times his stake. There is a unique match and win feature as well as a Prize Pick feature to watch out for. 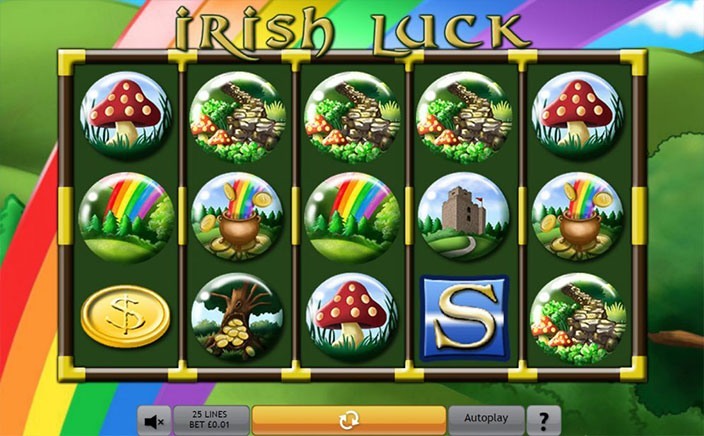 This slots game has most of their symbols taking inspiration straight from Ireland, with the high-value symbols being the four leaf clover, the harp, a silver ring, a horseshoe and a brooch. The wild symbol is a red-haired Irish girl and the symbols also double all winnings that it is a part of. A pot of gold is the scatter symbol of the game and is extremely important. Irish Luck has an important Match and Win feature where the player is supposed to match values and can win up to 100 times their stake if successful. The Prize Pick features works on the basis of what symbol the player lands on. If it is a fairy, then you can claim a prize of up to 100 times the betted amount or if it is a leprechaun then the player gets 10 free spins and a 2x multiplier. By landing on three or more of the gold pot symbols which are also known as the scatter symbols, the player unlocks eight or more free spins. After being awarded the initial amount of spins, the player will then be prompted to pick two out of five of the scatter symbols for a chance to unlock more free spins. There are up to 33 spins up for grabs and a 15x multiplier is available as well. Irish Luck has a dependable RTP of 94.25% and has some pretty fun features that can give you great winning combinations. It also has a wide betting range, making it one of the online slots that has something for everyone. It has some pretty neat graphics and great sound effects on offer as well to make it a more immersive option.